Last week I posted a quick how-to on ruffling with your serger. If you are going to be making long ruffles, then you will most likely need to sew several strips together. For skirts and other projects where the seams will show, it's nice to be able to piece your bias strips on the serger. It's a little tricky to get perfectly lined up strips. Here's a tip that will make those seams a snap. First take the two pieces you are trying to match up, and fold one down over the seam so they form a right angle. Then offset them so you get a 'V' where the edges cross as shown below. The amount doesn't matter-- the seam allowance will be trimmed by the serger. There might be a notch in your presser foot to help you line things up. You can just barely see it in this next photo. Aim to sew in a straight line so both the top and bottom points line up with the needle. Tada! Perfect join! 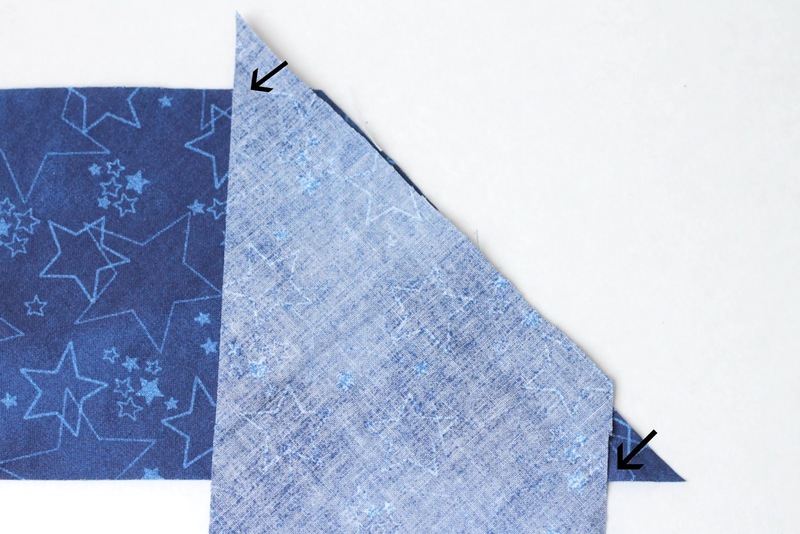 Keep sewing enough strips together the same way to make enough for your project. Now, even the inside of your ruffles will be finished off nicely.